As a working mom, planning for the summer involves a lot of coordination and planning to ensure that Andrew has lots of fun, safe, activities and camps planned. I have always traditionally sent Andrew to rec camps through the Town of Whitby, but Andrew has developed a love of sports throughout this past year, so we started to explore some other options and discovered True North Sports. What I love most about True North Sports is that it is such a welcoming space for kids that are just getting into sports, or exploring to see what is a good fit for them. There are options for everyone. We signed Andrew up for a week at multi-sport camp so he could get a taste for a few different sports. Within his week at camp, he got to try out soccer, baseball, flag football, ball hockey and basketball. Outside of gym class at school, there were a few sports that he hadn’t tried yet, so I was a bit apprehensive about him feeling left out or anxious about playing with kids of all skill levels. I can say wholeheartedly that this was a silly concern – he came home so enthusiastic and excited every day about the new skills he had learned. This was due in large part to the amazing staff they have at True North – I can’t say enough amazing things about them. They clearly went out of their way to make sure all the kids felt included, gave them positive reinforcement throughout the day and at the end of the day going home. I have no doubt that every child felt that they belonged, regardless of age or ability. It was blistering hot the week Andrew was there, but the staff were upbeat and positive even at the end of what was likely a long, hot day – they even changed the schedule around to have a water-play day to beat the heat. Another thing I loved about True North was that they not only learned skills, but they also learned about sportsmanship and teamwork – Andrew and I had such great conversations about things he learned at camp from his coaches. I have to give a big shout-out to Coach Drew – Andrew is a pretty shy kid and usually takes time to warm up and develop a strong bond with someone but he came home everyday raving about Drew and asking to do baseball camp next year so he can learn from Drew. His week at True North has ignited a new interest in baseball, which we’re thrilled about. 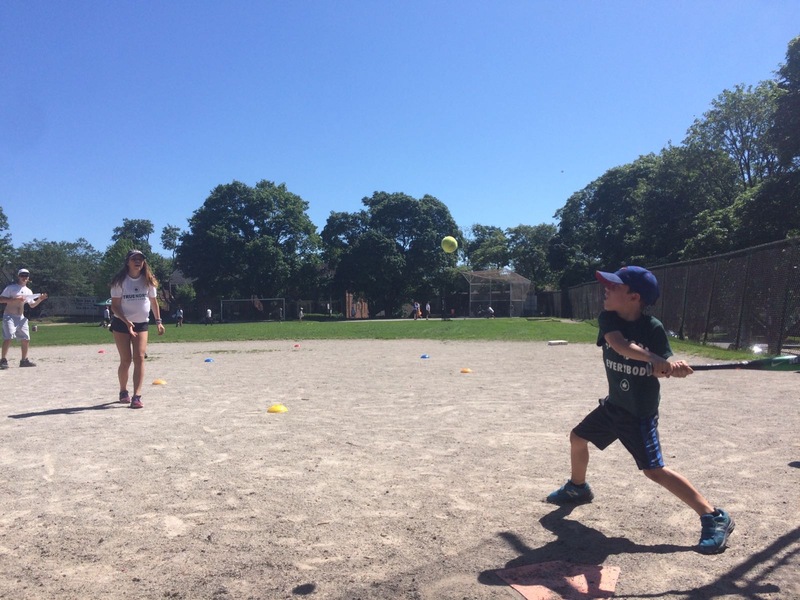 At the Whitby location at this time, they offer baseball camp and multi-sport camp; if you’re in Toronto there are a TON of other options, including baseball clinics, and soccer, baseball, or flag football camps. If you’re interested, you can pop over to their website here. There are also locations in Etobicoke, Hamilton and Markham. There is no fall baseball clinic in Whitby this year, but I am crossing my fingers that there is enough interest for next fall! Andrew won an award the last day, and came home with his first ‘sports bottle’. He was thrilled – it was the perfect ending to his week. Andrew has asked repeatedly to do more than one week at True North next year, so we will definitely be returning! The camps start at age 4, so maybe Lily will be trying out multi-sport camp next summer. 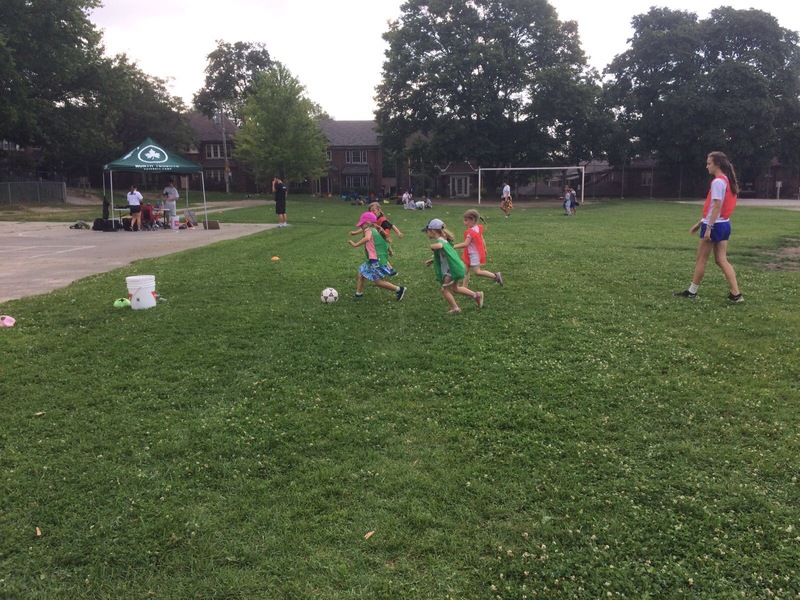 If your kiddie has a growing interest in sports, I would HIGHLY recommend True North – I have no qualms about telling everyone I know to sign their kids up – it is a great camp run by amazing staff. Can’t wait for next summer! Disclaimer: This post is sponsored by True North Sports Camps. In exchange for this post, I received compensation in the form of free camp for my kids. However, all opinions are my own. This entry was posted in Kids and tagged baseball, sports, summer, summer camp, true north.